There are a few leather tools and hardware that every horseman should have for making minor saddle repairs. These leather tools will help you fix broken straps and parts, do your own adjustments to tack and saddle parts and, with more serious problems, help you make emergency repairs to get you by until you can take your saddle to a saddle repair shop. The most basic leather tools and hardware that every horseman should own are leather hole punches, rivets and rivet setters, hoof nippers to cut rivets and Chicago screws. 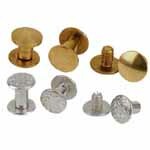 Rivets are a very useful for repairing broken and torn tack and saddle parts. For those of you not familiar with a rivet, you can see them in action if you look at the connection point of your fender and stirrup leather. Rivets can be used to hold together broken straps on headstalls, reins, pack saddles, cruppers, breechings, etc. 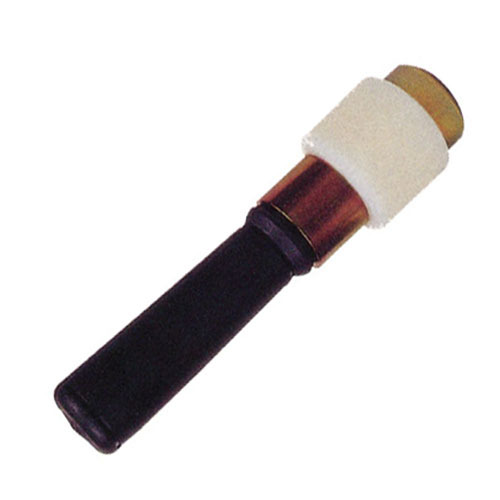 You can use them on your saddle and pack saddle accessories if you need to. 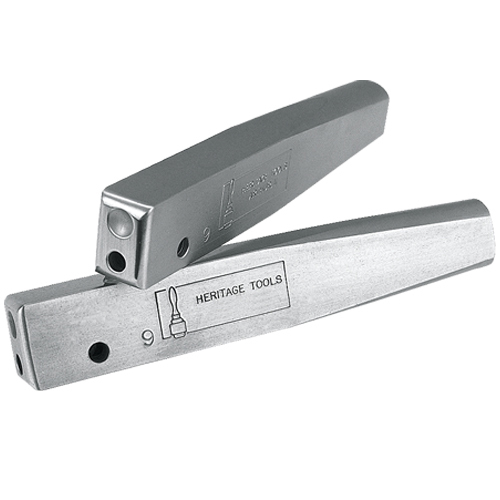 To use a rivet, you need a leather punch, a rivet setter, a maul or some type of hammer, and a set of hoof nippers. 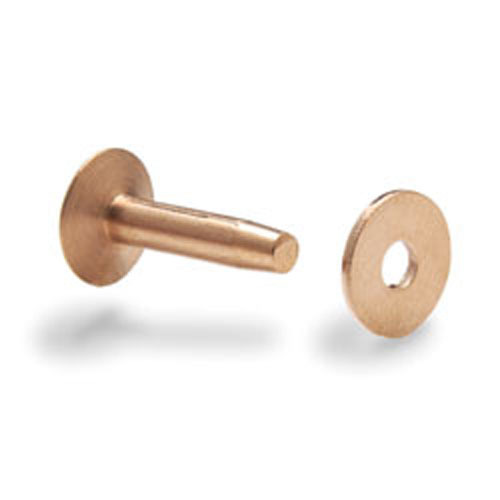 For instructions on using rivets, download our How to Set a Rivet pdf file. 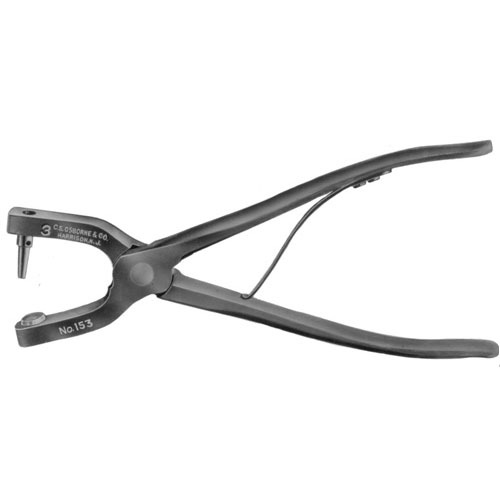 Many horsemen already have a set of hoof nippers in their tack room, barn or trailer, which can also be used to clip off the excess end of a copper rivet. 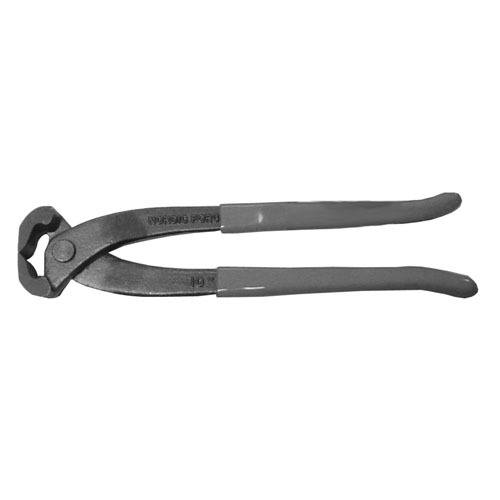 If you don't have them, we do sell a nipper especially made to trim rivet ends. Chicago screws are also useful hardware for connecting tack and saddle parts. They Hoofare perfect for connections where you may need to take the connection apart later on, such as the bit end of headstalls and reins. Chicago screws also commonly “go missing” if you haven’t hit them with Lock-Tite or nail polish to make sure they do not work loose. Once again, you can use the number 4 leather hole punch to make the hole for the Chicago screw. If you have basic leather tools and hardware that include leather hole punches, rivets and rivet setters, nippers and Chicago screws, you should be able to perform emergency saddle repair and tack repair yourself. If you are in the backcountry, this may mean the difference of riding out versus walking out or making a second trip to go back and get your gear.